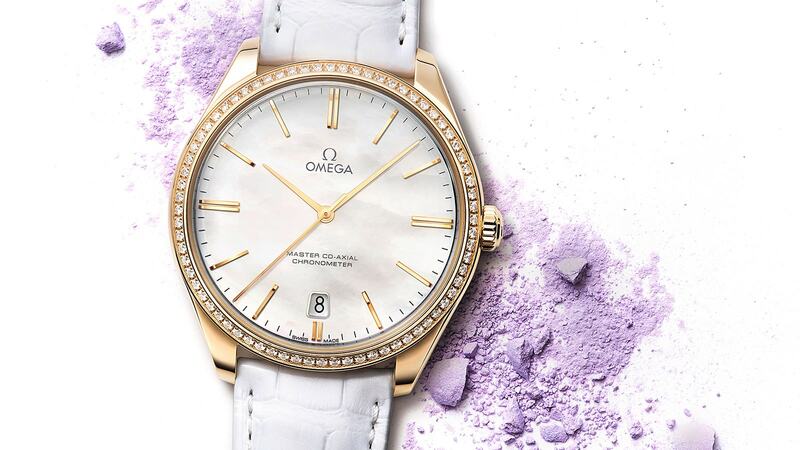 This model has a domed white mother-of-pearl dial with polished 18K gold hands and a date window at 6 o'clock. 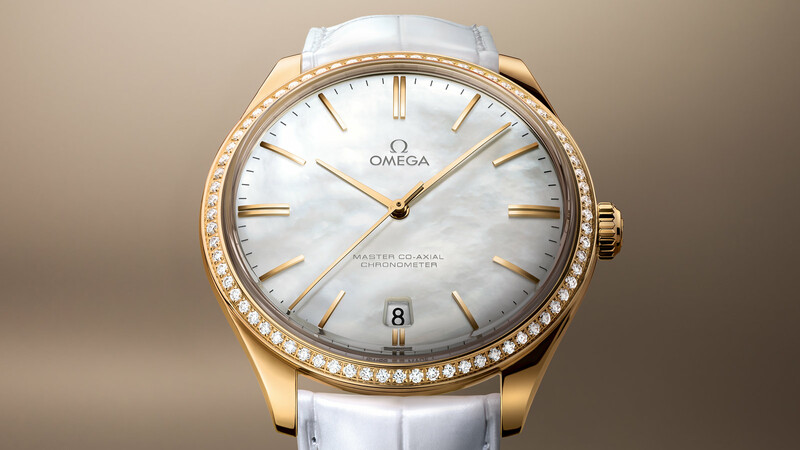 The 40 mm 18K yellow gold case, with its diamond-set bezel, is presented on a white leather strap with a polished buckle. 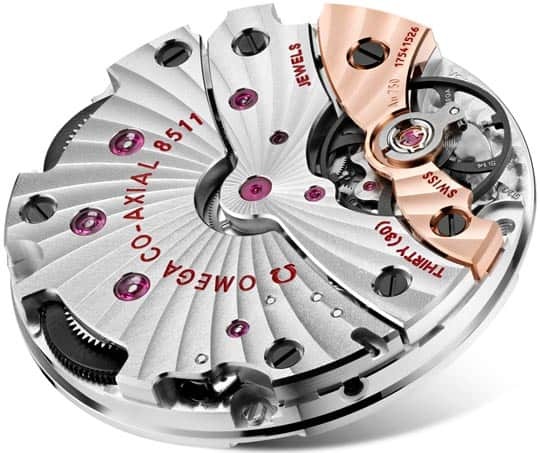 This De Ville Trésor is powered by the anti-magnetic OMEGA Master Co-Axial calibre 8511 - a unique manual winding movement.